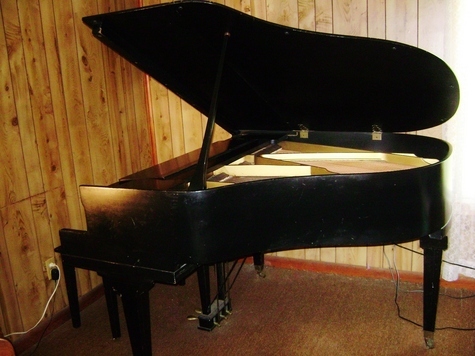 Black Farrand Grand Piano & matching music storage bench. Brass interior all strings and keys in good cond 3 petals. Could use tuning but ok to play, great loud sound. Few small dings in wood on top. Key cover music holder lift up top, wheels for easy moving around. You arrange pay moving. Contact Lee by email to set up view appt time. Located in Lawley, AL.